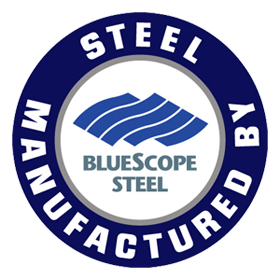 BlueScope Steel manufactures a range of products for building and construction, manufacturing and automotive applications. From steel slab, plate, hot and cold rolled coil, coated and painted strip products through to roof and wall cladding, purlins and house framing, and custom engineered building solutions, BlueScope manufactures a complete range of products for a multitude of end uses. BlueScope’s heritage traces back to 1915, when the steel industry became an essential part of Australia and its economy. BlueScope’s global networks are another of its strengths, with more than 100 facilities in 17 countries, employing around 14,000 people serving thousands of customers. Our strong partnerships and networks are built on BlueScope’s great product brands, such as COLORBOND®, Clean COLORBOND® and ZINCALUME® steels, LYSAGHT® steel building products, and Butler® and Varco Pruden® engineered buildings.